Nevis, phonetically pronounced ‘NEE-vis’, has recorded 156 different species of birds as of May 2012 and the list continues to grow. Since 2007, 10 different species of bird were recorded for the first time! Herein lays the particular excitement of bird watching on Nevis: So little actual ornithological field research and serious bird watching has ever been done on Nevis that daily and seasonally there lies the potential of documenting a species or two of bird new to Nevis or the potential of re-documenting a rarity not seen in a very long time. 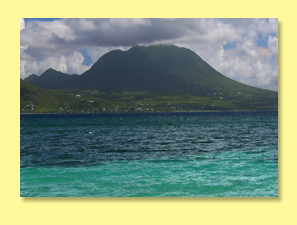 We anticipate that as many as 210, on both land and at sea combined, will be documented for the island of Nevis! Be a part of the adventure! An estimated 200 – 400 billion individual birds in the world. Circa 9,722 different bird species in the world. Circa 26,419 different bird species & bird sub-species in the world. Circa 2,078 different bird species that are found in North America (The Caribbean is part of North American for bird/avifaunal purposes). Circa 163 bird species endemic to the Caribbean (c. 27% of Caribbean bird species). 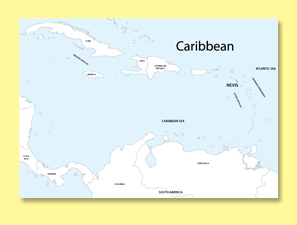 Circa 48 bird species in the Caribbean that are considered threatened for continued existence. (All planetary species are under threat from human population growth and associated anthropogenic causations). 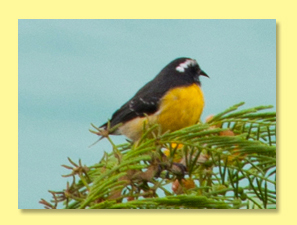 An unknown number of different bird species that might possibly be seen on Nevis . Since 2007, ten bird species not previously documented on Nevis have been recorded. Nevis is in a state of ecological succession from the denuding of the landscape during the period of plantation agribusiness, which ceased in the 1800’s. Circa 199 different bird species that have been recorded for the ecologically and geographically separate but artificially and politically conjoined islands of St. Kitts & Nevis. Circa 154 different bird species that have been seen on Nevis since the 1700’s. Circa 49 different bird species that either breed or are found in residence for most of the year on the island of Nevis, including Booby Island.